Short story even shorter, I pick a seasonal ad and try to recreate the models look with colors I already own. 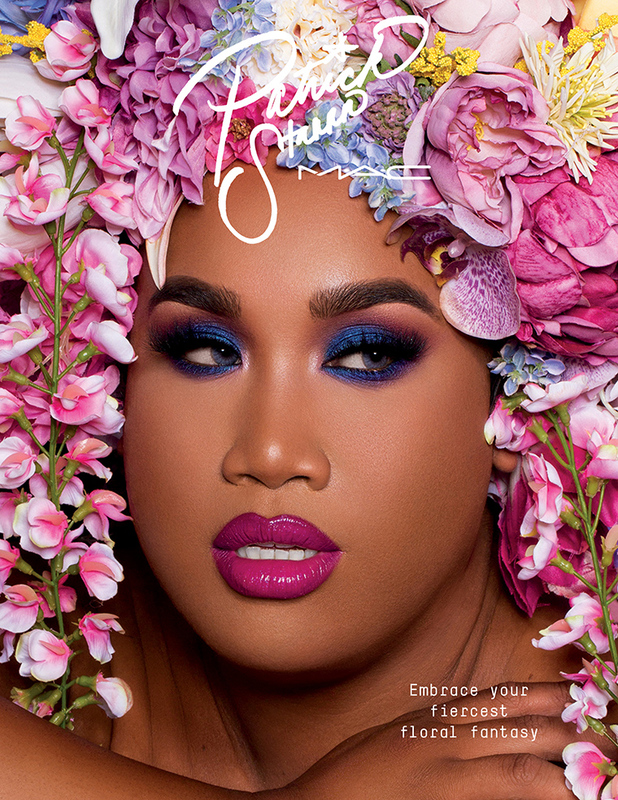 Until his first MAC collection, I had no clue who Patrick Starrr (yes, it is three r, that is not a spelling mistake) actually was. Which shows, once again, how far away I am from the in crowd on You Tube. 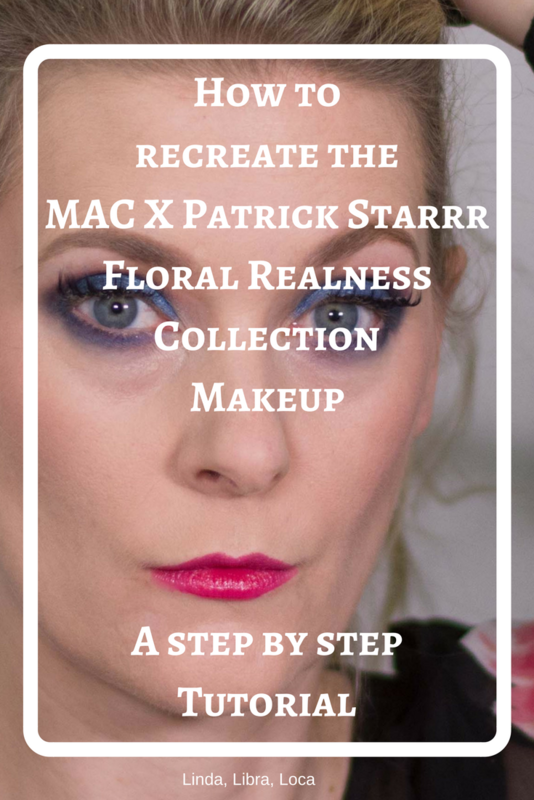 A collaboration with MAC is still the safest way to get my attention though, and this second release, the vibrancy and richness made me determined to at least try and recreate the makeup he was wearing for the MAC x Patrick Starrr Floral Realness collection. Not that I get the “realness” thing, but the flowers at least are everywhere. And it is probably some not so secret lingo only I don’t get anyway. 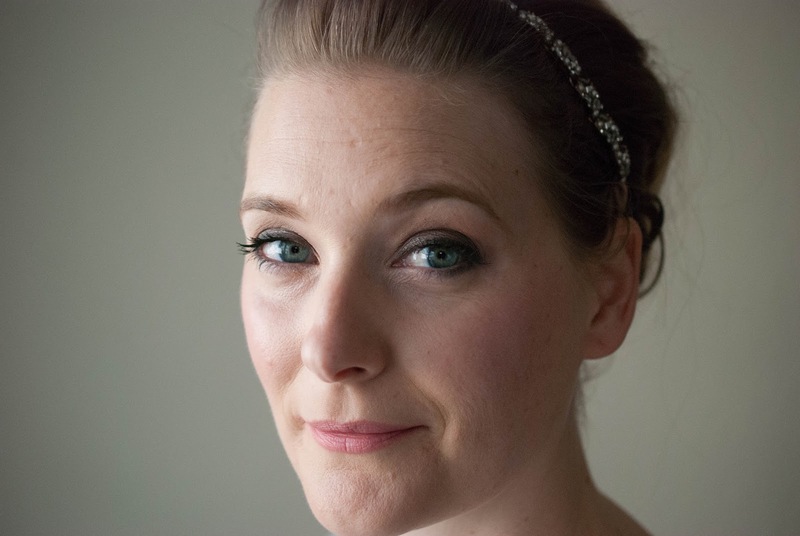 But back to the topic (or makeup) at hand: Blue and purple eyes, paired with a glossy, fuchsia lip. Would that makeup, amazing on a dark young man, work as well on a pale old lady? I even tried to recreate the Flower Crown! You’ll be the judge here. But I personally can say: I like it. A lot. 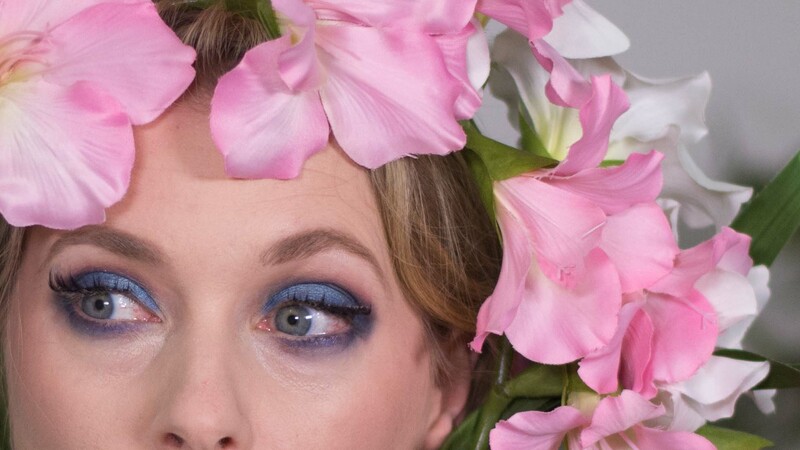 And I will probably wear it again, much to Mr. Locas dismay, because blue eyeshadow is as alien to him as is red lipstick.